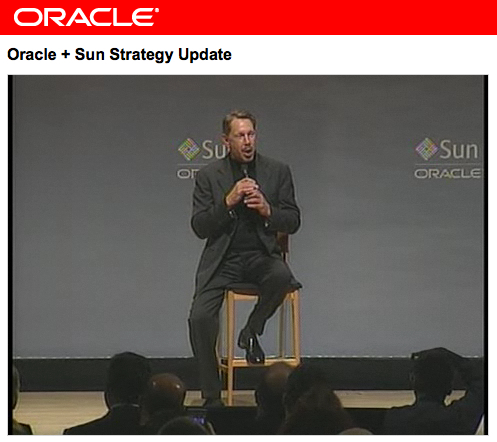 More often than you’d think, I’ve been asked about the cultural clunking between Sun and Oracle. Recently, several high profile departures of Sun people from Oracle have prompted a few of those questions again. It’s, of course, good to keep things in perspective: these are just a handful of folks being profiled out of the thousands who came over. Last week, Paul Krill asked me for input on a story published today on the topic. In addition to the round-up of events and comments in the story, below my longer responses. It seems like the cultures of Oracle and Sun clash. What are the cultural (how the business desires reflect the way employees go about their jobs, day-to-day) differences at Oracle and Sun? I think the assessment of cultures not fitting is pretty near the truth. Sun spent a good deal of engineering time doing something close to “applied research and development,” as with the dynamic language folks building on-top of the Java VM. While many technology companies – most, actually – focus on 6 to 12 months out, Sun in it’s last years kept it’s eyes in part a longer horizon calling for engineering talent that was exploratory and “cutting edge.” People like Google do this, of course, but they have a here and now revenue flow from the more pedestrian “making better junk mail” business model of selling online ads. Without here-and-now revenue flows like that, it’s difficult to keep up a large emphasis on emerging technology R&D.